This simple vinaigrette recipe requires only four ingredients and is ready in seconds. Make fresh dressing and taste the difference on your favorite salad! Ah, the holidays. Wouldn’t it be nice if we could be awarded a few extra hours each day during this season, just to get things done? Since adding extra hours to the day is currently a scientific impossibility, we’ll have to settle for the next best thing: getting everything done faster. One way to free up time is to switch to meals that are quicker to prepare. 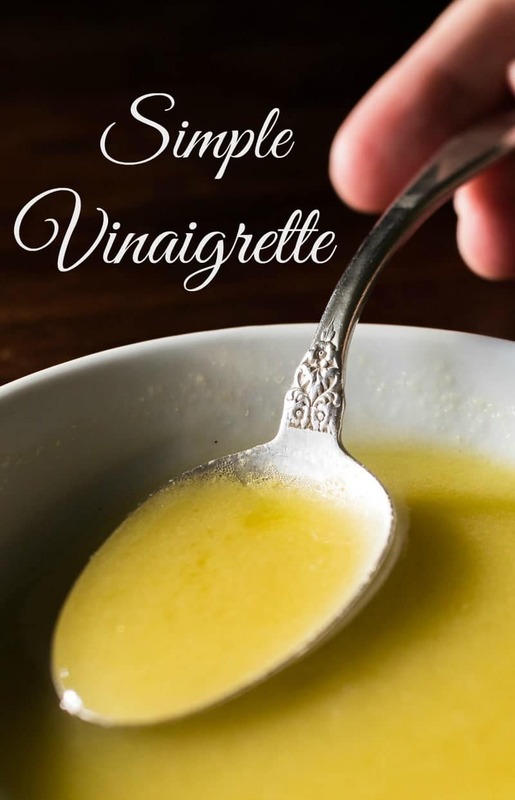 That’s why I’ve created this ultra simple vinaigrette recipe. Now, you can pair a salad with a meal and enjoy the flavor of freshly made dressing. 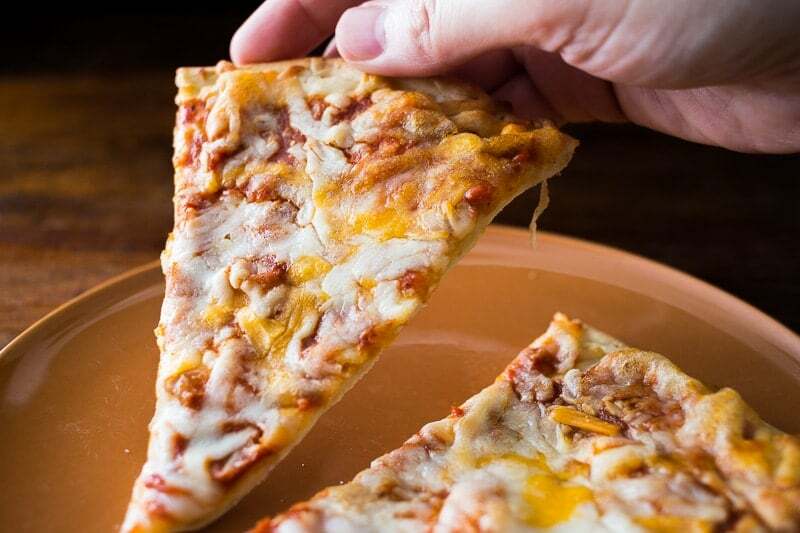 One of my favorite meals to have when I’m rushed is a salad and a couple of slices of pizza. The salad fills me up and provides lots of nutrition, and the pizza is warm, satisfying, and makes it feel like a complete meal. 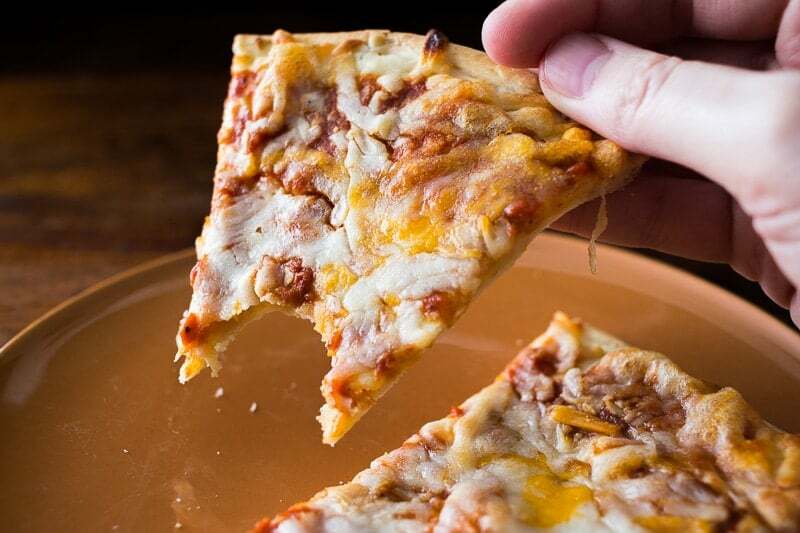 To go with today’s vinaigrette recipe and salad, I’m serving Red Baron® Thin & Crispy Five Cheese Pizza. 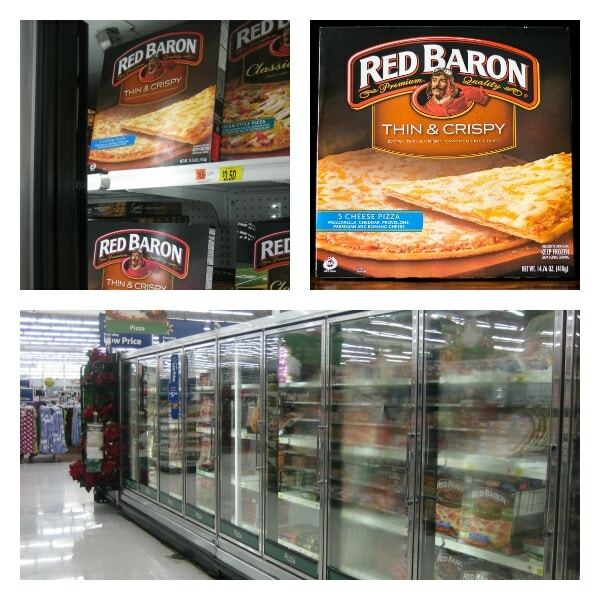 Red Baron also comes in Supreme and Pepperoni. I picked mine up from the pizza aisle of the frozen foods section at Walmart, which is a great place to pick up your holiday entertaining supplies. Let’s not forget about that delicious vinaigrette recipe, too! All vinaigrettes are typically a 1:2 or 1:3 ratio of acid (usually vinegar) to oil. You can tinker with how much of each depending on how you like your dressing. 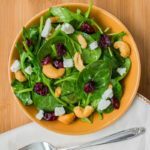 You can add other flavorings to your vinaigrette, such as herbs, spices, and grated garlic, if you like. Store the vinaigrette in the refrigerator, then whisk to re-emulsify before dressing your salad. Want to know what’s on my salad? 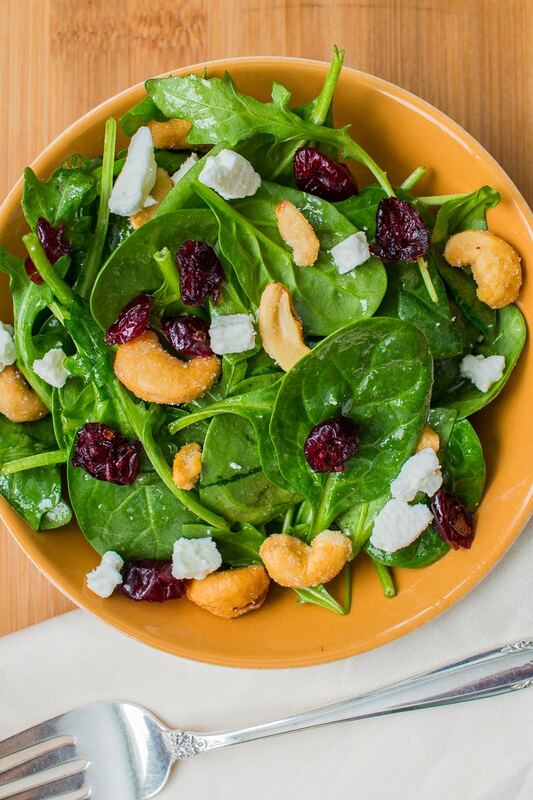 After dressing the spinach and arugula mix with the results of the vinaigrette recipe, I added honey roasted cashews, dried cranberries, and bits of feta cheese. Now that’s what I call a salad! In a bowl, whisk together the vinegar, mustard, salt, and honey until combined. Gradually whisk in the olive oil a little at a time until the dressing is smooth. 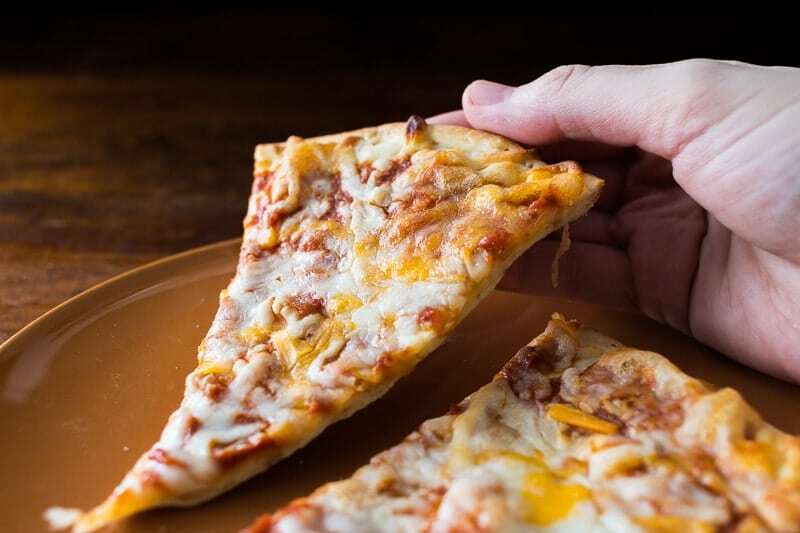 Serve immediately, or store in the refrigerator. If stored, whisk again before serving to make the vinaigrette smooth again. 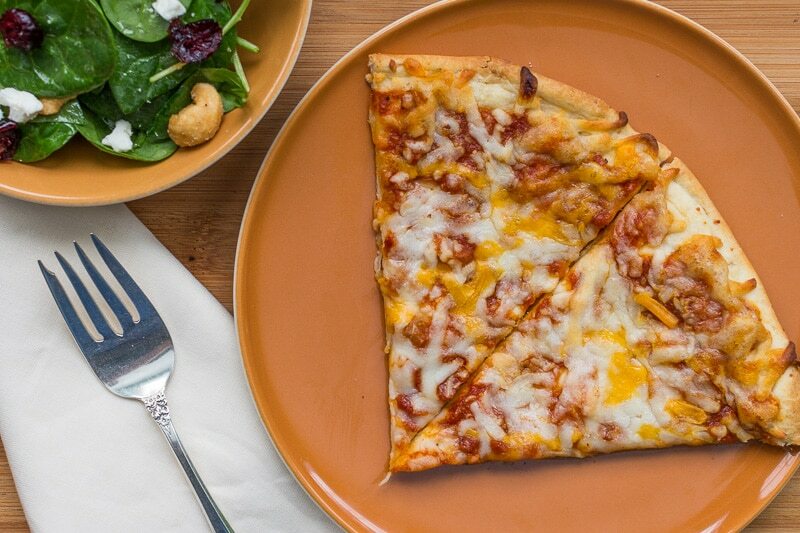 Are you a pizza and salad fan, too? Thanks for noting the ratios of oil to vinegar. Also, the honey and Dijon you’ve included in your vinaigrette should act as an emulsifier and keep it from separating. Exactly. Garlic has an emulsifying effect, too, but I skipped it because I find it a little overwhelming in vinaigrette.